Our next home game is this Saturday, March 17! We take on the ladies from Assault City (Syracuse, NY). Please come cheer us on as we rock our 2012 Home Season opener! Tickets are $12 at the door; $10 in advance, $3 for kids 12 and under. And kids LOVE roller derby. 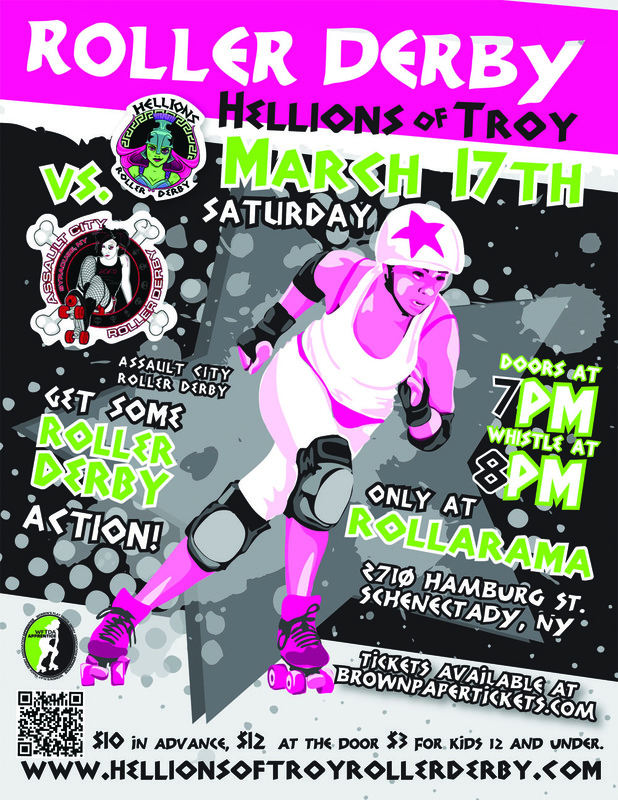 **Special: Deep Derby Discount: tickets are only $5 for people from other area roller derby teams. Skaters, newbies, and refs!